Prediction regression provides the automatic identification of predictor variables through multiple regression analysis and advanced statistical tests. Regression results are presented in a simple and easy to understand format to quantify the relative influence of each input variable. The work flow facilitates and iterative process to test, maintain and discard variables until a prediction regression equation can be established with maximum confidence. Supplementary statistical analysis to reveal underlying data relationships include autocorrelation under the Dubin-Watson statistic and multicollinearity between individual independent variables. Standard tests include F statistic confidence intervals, adjusted R-squared, standard errors, t-test statistics and p values. The resulting prediction regression equation can subsequently applied to integrated forecasting methods or custom data for the independent variables to produce predictions and forecasts of desired period length. Built-in forecasting options for predictive analysis include linear, polynomial and exponential methodologies. Prediction regression runs in Excel for both Mac and Windows platforms. There are currently no reviews of Regression Forecasting. Prediction is based on statistical level of confidence. The regression prediction application is a fast and easy to use solution for forecasting and identifying causal relationships. Below are some frequently asked questions for Regression Forecasting. Q. What type of pricing plans does Regression Forecasting offer? Q. Who are the typical users of Regression Forecasting? Q. What languages does Regression Forecasting support? Q. Does Regression Forecasting support mobile devices? Q. Does Regression Forecasting offer an API? No, Regression Forecasting does not have an API available. Q. What other apps does Regression Forecasting integrate with? Q. 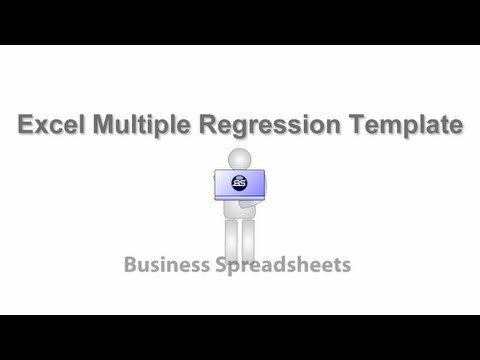 What level of support does Regression Forecasting offer?